After the huge success of the first Crypto Finance Conference in January 2018 in St. Moritz, Switzerland with 250 investors and ultra high net worth individuals at the event, the exclusive three day investor conference expanded to Geneva and California and is now back where it all began: In St. Moritz – only one week before the World Economic Forum in Davos. The CFC is a conference tailored around investors’ needs and limited to 200-250 participants, which all have to be approved by the board. Die Präsentationen sind jeweils in englischer oder in deutscher Sprache, ohne Simultanübersetzung. Finance Expo with an exclusive touch. 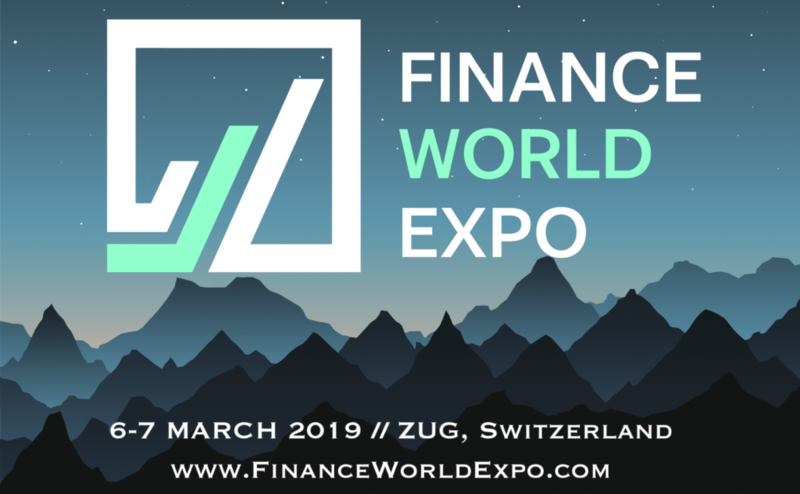 The FINANCE WORLD EXPO will take place on the 6-7th of March 2019 in Zug, Switzerland, supported by the Canton of Zug. 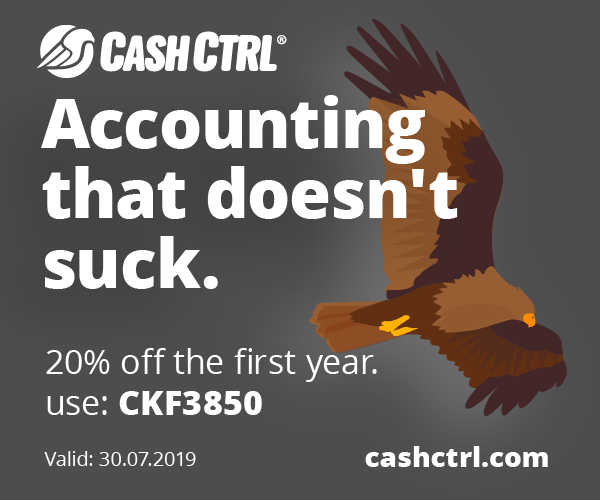 Don't miss out on an excellent opportunity! The purpose of the Swiss FinTech Awards is to promote regional development while helping create the strongest possible Swiss fintech ecosystem underpinned by international network links. The Awards specifically recognise outstanding fintech start-ups and influencers. The winners are chosen by a renowned jury consisting of a network of influential partner organizations and fintech experts. START Summit is Switzerland‘s leading conference for entrepreneurship and technology with more than 3‘000 participants. 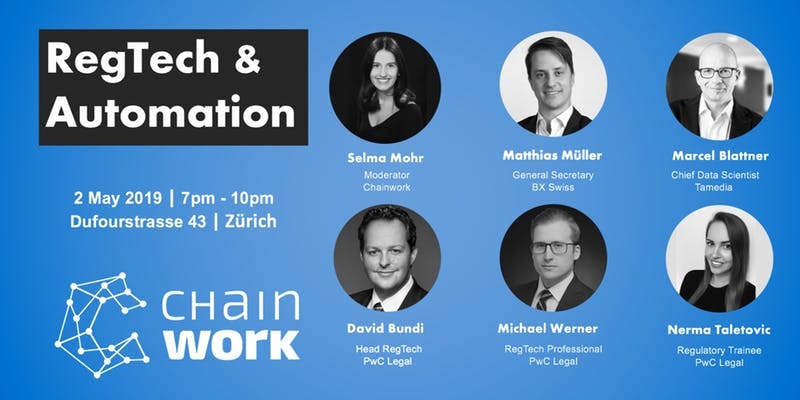 It is the biggest startup event in Switzerland, focusing on emerging technologies including Blockchain, AI, AR/VR, the IoT and their application fields. START Summit works toward creating innovation through educating and inspiring its participants and connecting them in order to create business opportunities. START Summit 2019 will take place in St.Gallen on the 21st/22nd of March 2019. Confirmed speakers are Richard Socher (Chief Scientist Salesforce), Daniel Graf (former VP Product Uber) and Bracken Darrell (CEO Logitech). Am 26. März 2019 findet im Swiss Re Centre for Global Dialogue in Rüschlikon das erste Finanz und Wirtschaft Forum «Blockchain in Financial Services» statt. Die Konferenz zeigt auf, wie sich Finanzdienstleister diese disruptive Technologie zunutze machen und in den Geschäftsalltag integrieren können. Konkrete Anwendungsbeispiele aus verschiedensten Branchen werden präsentiert. Erfahren Sie, wie Sie mithilfe der Blockchain einen Wettbewerbsvorteil schaffen können, und sichern Sie sich Ihre Teilnahme unter www.fuw-forum.ch/blockchainfs. 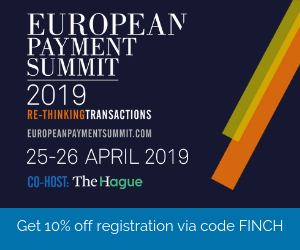 Europe’s leading digital banking conference and exhibition (RBI EU 2019) is back on April 1-3 in London and we’re looking to work with appropriate media partners to raise awareness of the conference – I was keen to reach out to Fintech News Network to discuss this. 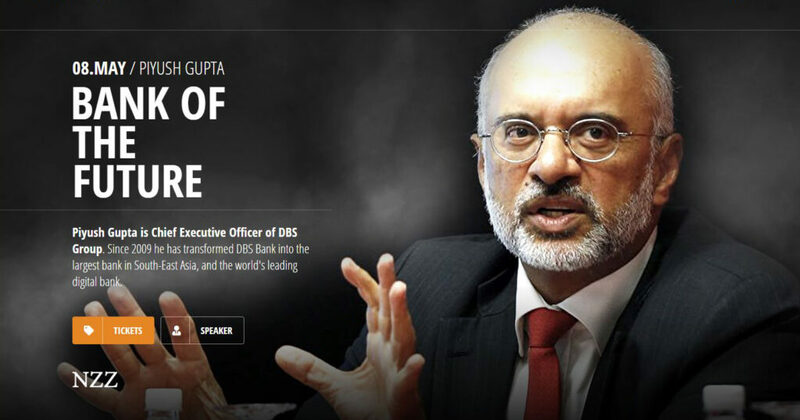 Now in its 4th year, RBI EU brought together 41 banks from 20 countries and 297 delegates in 2018. With the continued focus of banks on digital transformation, driven by open banking and PSD2, we are set to experience significant growth in 2019, creating an invaluable platform to also advertise our partners. 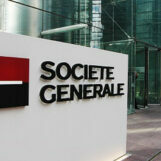 regulators, innovators, policymakers and supervisory authorities. advancement of your financial transactions, payments, and compliance strategies. For online registration visit qubevents.com and use code FinNews06 for 15% discount.